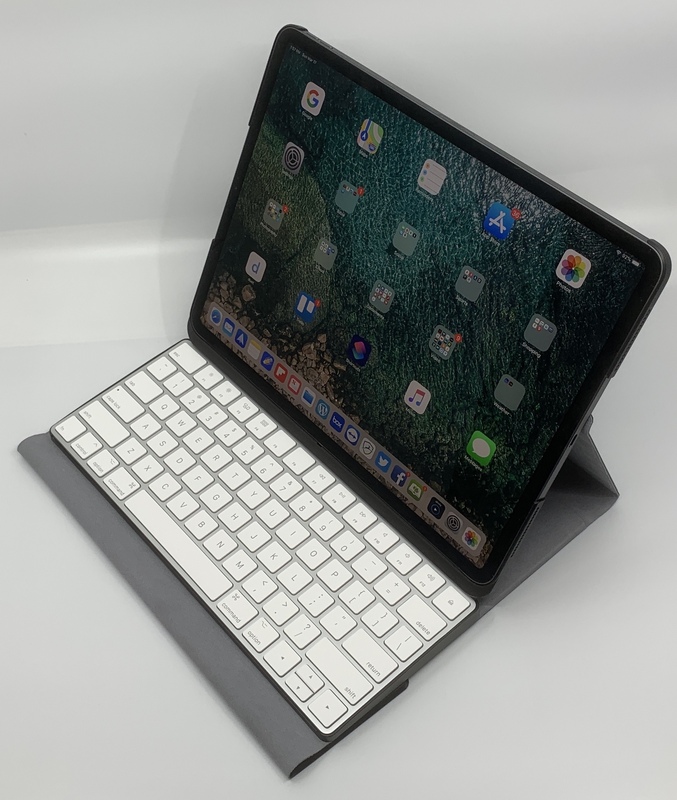 If you are interested in Mr Sajid’s story, his previous successful crowdfunding campaigns, and the background of TouchType Pro, go ahead and check out his Kickstarter campaign. Today, I am going to focus on the product itself and my time with it. I received a TouchType Pro prototype from Mr Sajid for testing back in mid February and used it for around three weeks. I tested it both at home and at work and carried it around with me almost all of the time. 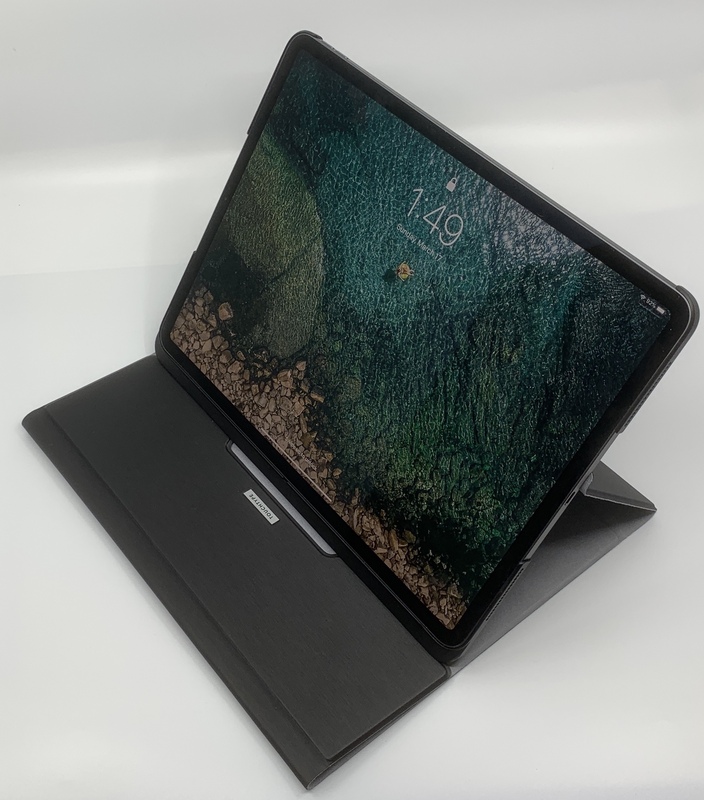 I wrote articles for this site and did all of my other normal iPad Pro tasks using the case and keyboard, so I ended up coming away with a pretty good feel for how the product will work. I came away very impressed with the TouchType Pro’s creative design. 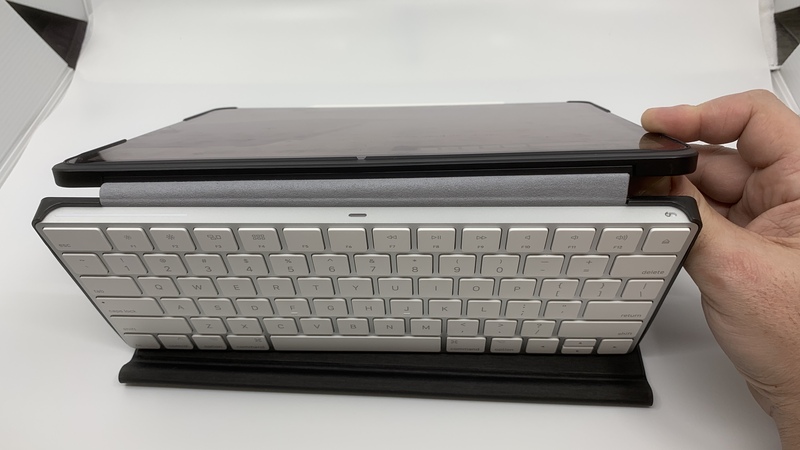 Making a case that can accommodate a keyboard without becoming too bulky that also offers the user the flexibility to either get the keyboard out of the way or leave it out altogether, is a difficult task that some large accessory companies have failed at. What you see in the pictures and videos on the campaign site is real. The design doesn’t just show well in a promo video. It works well in practice, too. 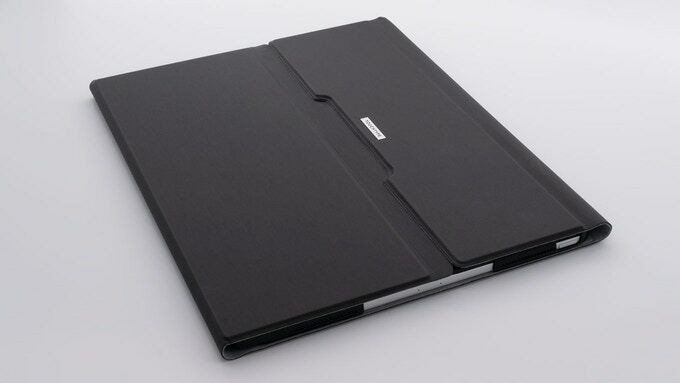 The case is quite thin and and light, but has just enough padding for adequate protection. The frame that holds the iPad in place also adds basic drop protection at the corners. 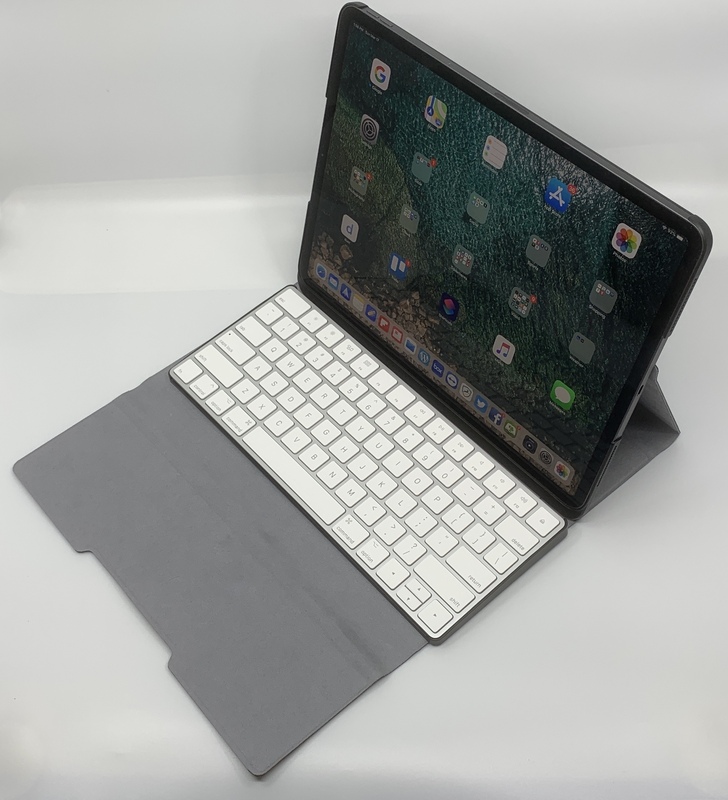 Weight and bulk are often the downfall of iPad Pro keyboard cases, but this one is easy to carry and doesn’t get in the way. The TouchType Pro checks a lot of boxes. There are few keyboard cases made to either transport or use a separate Bluetooth keyboard. This one does both. It will also allow you to use the iPad Pro with a keyboard in either portrait or landscape orientation. 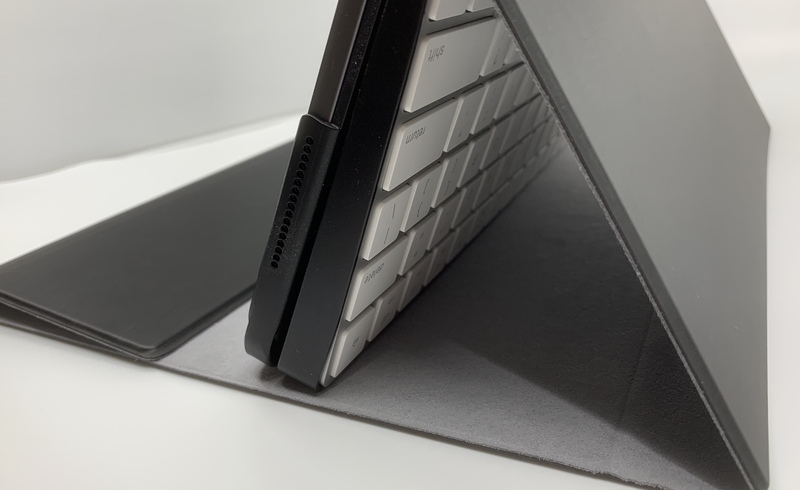 In landscape, you have a lot flexibility over positioning the iPad thanks to the magnet on the Bluetooth keyboard tray. 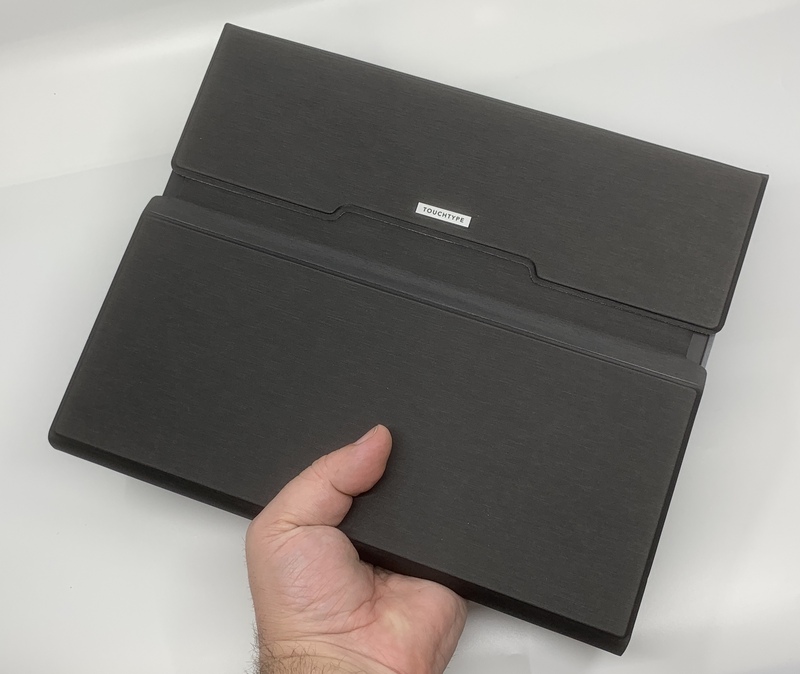 You can also fold the keyboard tray back behind the iPad and use your tablet without it getting in the way. While I still prefer Logitech’s K811 Bluetooth Keyboard, I definitely understand the choice here. A lot of Apple users will have one of these already lying around, sparing extra expense. It is rechargeable and has great battery life. It is also an excellent, lightweight keyboard in its own right. I am not a fan of the Apple’s butterfly key mechanism, but the Magic Keyboard has a far better and less troublesome implementation than Apple’s various MacBooks. I had no issues using it and there was little to no adjustment necessary for typing on it. I cannot say the same for Apple’s stiff and rigid Smart Keyboard. Again, check out the campaign site for the developer’s detailed history. However, I will say that based on his experience listed there, the patience and flexibility I have seen him demonstrate during the development of the TouchType Pro, and the quality of the prototype I received, you can feel good about backing this campaign. All crowdfunding comes with certain risks pertaining to delays and deliveries, but I feel very confident based on what I’ve seen that Mr Sajid is set up to deliver a quality product. If the production model is as good as the prototype I got, I will be happy. I expected rough edges considering that it preceded production by a few months. However, I really didn’t notice any. The TouchType Pro I got looked professional and felt good in the hand. The exterior is synthetic, but it works well for this design. It remains to be seen how it will hold up over time, but mine didn’t show wear after three weeks. No complaints here. 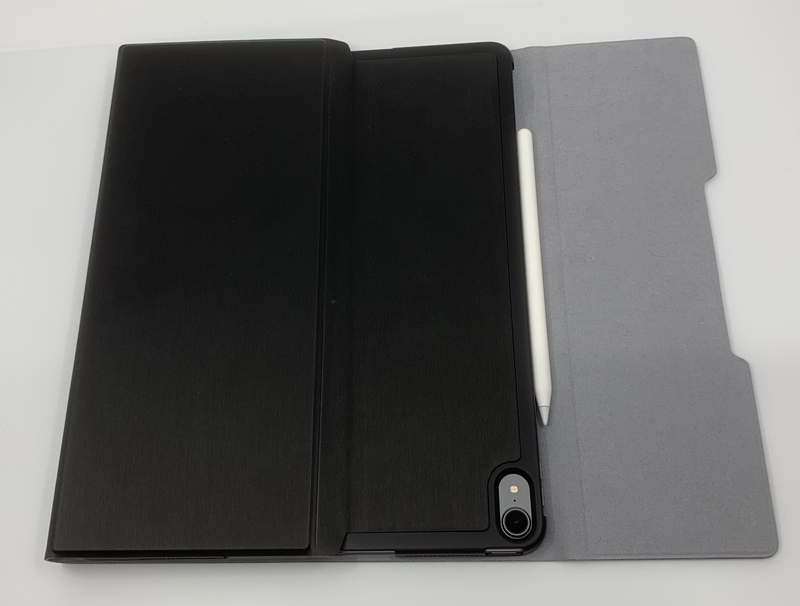 If you require a lot of protection for your iPad Pro, then the TouchType Pro won’t be the ideal daily driver case for you. The prototype provided adequate protection for home use and basic work use for me. However, there were times at work when I would still feel the need to swap to my UAG Metropolis. Here is a good rule of thumb- if Apple’s Smart Keyboard offers enough protection for you, then you will be very happy with the TouchType Pro. While it is a good keyboard, there are issues to note. First off, Apple’s Magic Keyboard doen’t have a backlight. I don’t understand why Apple continues to miss the boat when it comes to this on mobile keyboards. Also, you HAVE to remember to turn the keyboard off (with a small switch on the back edge) when you close the case. If you don’t, the keyboard will wake your iPad up when the folded case makes contact with the keys. I ended up with 5% battery left one day before I figured this out. The Magic Keyboard also costs $99.99, which isn’t a trivial amount in comparison to some other really good Bluetooth keyboards. None of these are deal-breakers, but be aware before you buy if, like me, you haven’t used one extensively before. The TouchType Pro can fill a lot of roles and do a lot of different things. However, this literal flexibility does make stability a challenge in the lap. The case is perfect on a hard, flat surface. It works well when I am typing on my lap and legs in the bed or with my legs propped up (which is often how I type my reviews). In a more confined space, working with a 12.9″ Pro in the lap is more of a challenge. Now, I will qualify this statement by saying that the TouchType Pro is certainly not alone among keyboard cases here. Most others struggle in this regard, as well. Also, while I didn’t get to test one, I think the 11″ model will work much better in the lap than the larger model. Despite these minor concerns, I really liked the TouchType Pro and I’m looking forward to reviewing a production model in the future. I liked it enough that I regretted having to send the prototype back. While I certainly understand why I had to, I missed having it after I did. I don’t really use my Apple Smart Keyboard that often anymore and it isn’t always convenient to carry my K811 in my work backpack to use with my UAG case. The TouchType filled this void perfectly, so even though the Magic Keyboard isn’t my favorite, I was good with using it because it and this case work so well together. I’m definitely looking forward to getting my hands on one again. So here’s the deal. If you go ahead and back the TouchType Pro right now, then you will be getting it at what I think is a pretty fantastic price. The Super Early Bird prices are $44 for the 11″ iPad Pro and $49 for the 12.9″ That is a really good deal, especially when you compare the TouchType to a lot of the competition. Even if you wait, the other pricing tiers for future backers are reasonable, as well. On a good note, Mr Sajid set a very modest initial goal of $1,000, which has already been met on day one. So you don’t have to worry about whether this campaign will pan out. 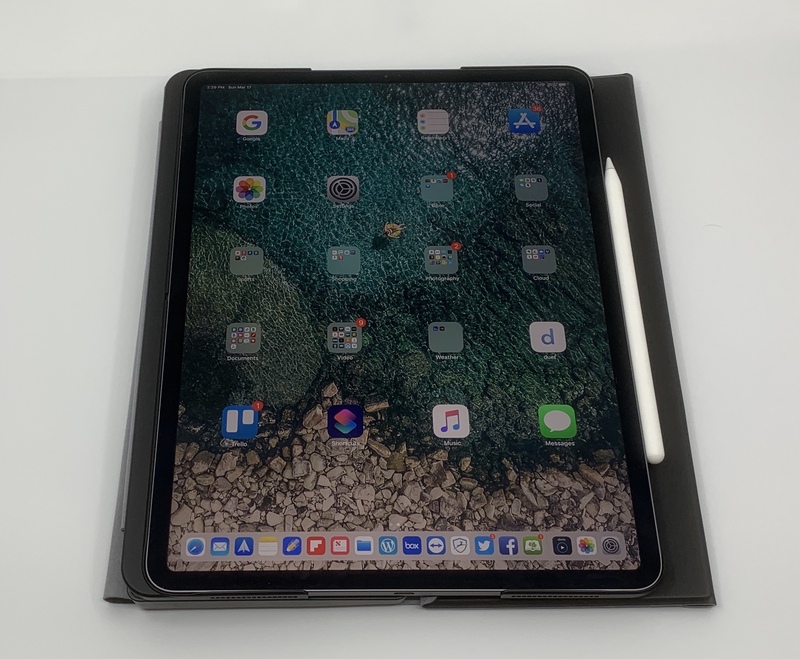 However, if you have an older 10.5″ iPad Pro or a new iPad Air, stay tuned. If the campaign hits the stretch goal of $100,000, Mr Sajid will be adding an additional model that will have you covered, as well. Stay tuned for more on the TouchType Pro in the near future! The TouchType Pro from Salman Sajid is currently available on Kickstarter.